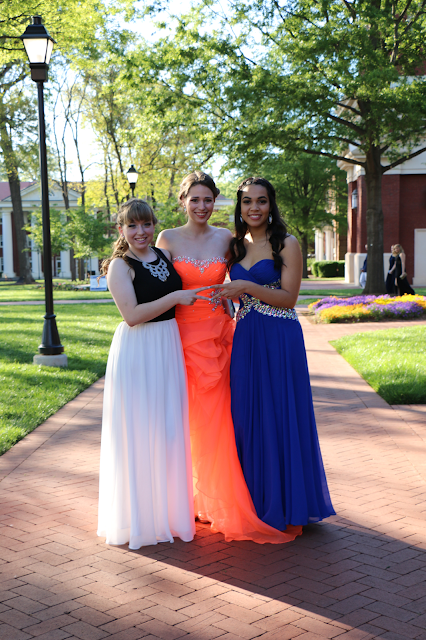 Along with Bid Day/Recruitment, one of my favorite sorority traditions to do a recap for each year on the blog is my chapter of Alpha Delta Pi's annual Black Diamond formal. This is our biggest social event of the year, and it's an off campus formal which all of the sisters look forward to! During my sophomore year, it was held at an estate home in a different neighborhood in Charlotte, and last year, Black Diamond took a different approach when it was held at a sports bar (I personally wasn't as big of a fan of that year's). This year's Black Diamond was absolutely fantastic though! Our current Social Chair planned the event at a beautiful and intimate venue that was right in the heart of Uptown Charlotte. The food was tasty, the DJ played awesome music, and I spent the whole night dancing away with sisters and friends! I started the evening off with some fun pictures in the dress on top of a parking deck in Uptown Charlotte- these were taken by my Charlotte blogger bestie Morgan! Later in the evening, my suitemate Caroline (aka Southern Belle in Training's head photographer for most of this semester! Thanks, C!) captured some photos of my date and I, and some sisters and I before the main event! My date this year was my best friend Max, for the second year in a row. He is always a fun date to formal events! The day after Black Diamond, on Sunday, my chapter held its special ritual ceremony, in which senior members transition to alumni. It is unbelievable to me that after three incredible years, I am an alumni member of my sorority! I don't think that it will all fully sink in until I see my younger sisters beginning Fall Recruitment in a few months, and knowing that the sisters in my graduating year won't be there to join them! You look stunning Annaliese, and your hair is flawless! Ahh these photos are gorgeous! 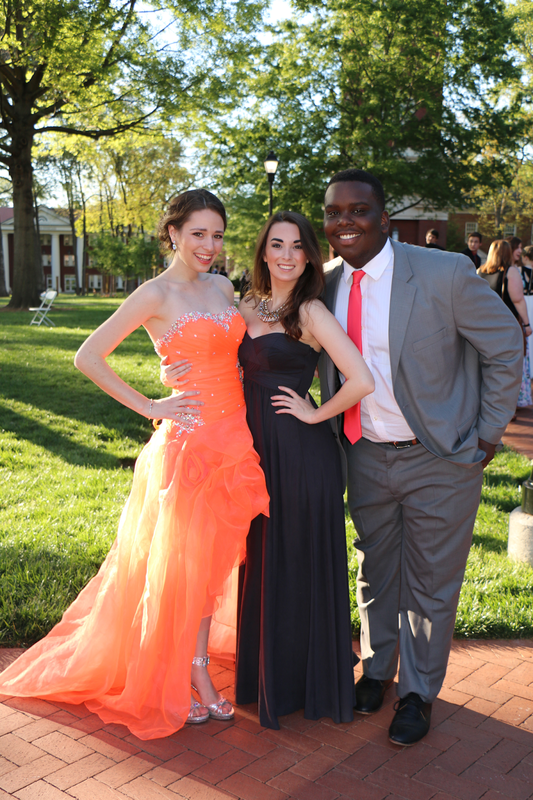 Loved getting to hear about your formal, sounds like you had so much fun!! Wow, gorgeous Annaliese! 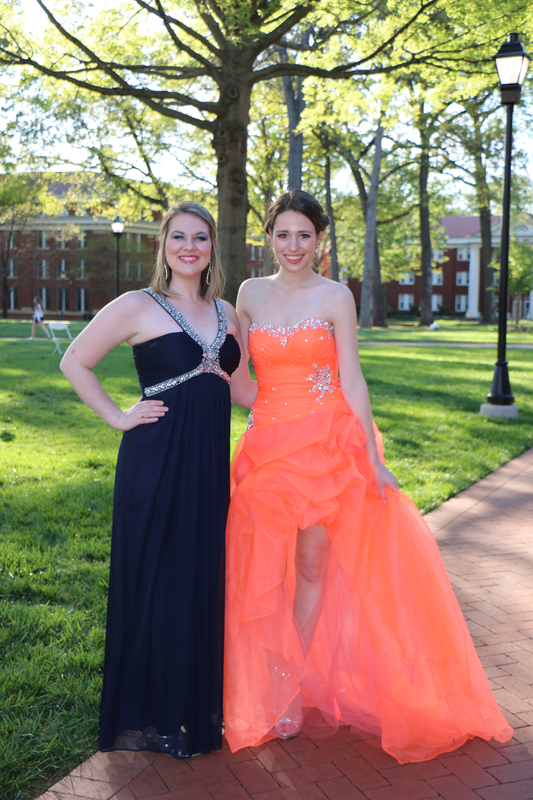 I'm already planning on re-wearing my prom dress for this year for sorority formals in college, I mean why buy another when you're already in love with one (and paid for it!). That's such a fun dress! Love the bright color! AHH! such stunning photos, love the location you took them in :) looked like such a fun time. Your dress is the best colour and you look amazing! Your dress is gorgeous! I can't believe your an alum!